When it comes to the bureaucracy, Prime Minister Narendra Modi has placed all his favourite loyalists in plum posts, sometimes even giving the services rule book a go-by. Meet the 'Gujarat-Modified officials'. One pronounced characteristic of the Narendra Modi government is its excessive dependence on Gujarat cadre officials who hold key positions at various levels in important central ministries. Prime Minister Modi also believes that the Gujarat cadre officials who have worked with him in the past are a special tribe in the all-India services like the IAS. Little wonder, then, that virtually all the officials who have worked with Modi during his stint as Gujarat chief minister have been given plum postings at the Centre and the Prime Minister’s Office (PMO). Topping the list is finance secretary Hasmukh Adhia, who was the hot favourite to be cabinet secretary till the incumbent P.K. Sinha got a second extension on Monday. Adhia apparently got wind of this and went off on (unusually) long leave (May 5 to 20), leaving the finance ministry short-staffed, if not headless, as finance minister Arun Jaitley is on twice-a-week dialysis while awaiting a kidney transplant. Adhia has been in the eye of a storm after The Wire reported that he received gold biscuits as a Diwali gift from an “anonymous” businessman while he was holding the sensitive charge of the revenue department as secretary and failed to order an investigation into who was trying to infuence him and why. Adhia explained the circumstances under which the anonymous gift was delivered to him and Modi continued to keep his faith in him, virtually handing Adhia the finance ministry’s keys during Jaitley’s illness. However, giving cabinet secretary Sinha another extension has ensured that two batches of the IAS don’t make it to the coveted post of the head of the civil services. One of the officials who was in the running for the post said, “Modi seems to believe that he needs a cabal who have sworn special loyalty to him. The bureaucracy does not work like that. With his throwing away the rule book when it comes to his favoured official, all of the services are upset”. Consider the other “Gujarat-Modified officials”. Rita Teotia is currently commerce secretary and Tapan Ray the corporate affairs secretary. Modi has also packed the PMO with Gujarat cadre officials. Arvind Kumar is joint secretary, Rajiv Topno is Modi’s private secretary, and Sanjay Bhavsar and Hiren Joshi are officers on special duty. The senior-most among these is Mishra, additional secretary in the PMO, a 1972 batch official who looks after the appointments committee of the cabinet (ACC). He is considered the most powerful official in Delhi as Modi has centralised all decision-making in the PMO. Even senior ministers fear Mishra, who is considered Modi’s ‘messenger’. Now, consider the clout of the Gujarat cadre. Anita Karwal is chief of the Central Board of Secondary Education and Ashim Khurana chairman of the Staff Selection Commission. Under Karwal, the class 10 and class 12 exam paper leaked, and Khurana was presiding when the SSC paper leaked. Despite national outrage over these two leaks, no action was taken against these “Modified officials” as their hapless ministers know these hand-picked Gujarat cadre bureaucrats have a direct pipeline to Modi. A.K. Joti, the most controversial chief election commissioner (CEC) in the history of the constitutional body, was also a Gujarat cadre official appointed by Modi whose actions earned him the judiciary’s rebuke. The Gujarat power list does not end here. G.C. Murmu, additional secretary, financial services; Anil Gopishankar Mukim, secretary, mines; Rajkumar, CEO, Employees’ State Insurance Corporation; Atanu Chakraborty, director general, hydrocarbons, are some more names in the list. Even Gujarat cadre Indian Police Service (IPS) officials are enjoying a dream run under Modi, who uses all these Gujarat cadre officials as his “eyes and ears”. Controversial IPS official Rakesh Asthana was made special director in the Central Bureau of Investigation last year, A.K. Patnaik was made CEO, National Intelligence Grid, and Praveen Sinha, was appointed CBI joint director. Another police officer close to Narendra Modi, Y.C. Modi, was put in charge of the National Investigation Agency. 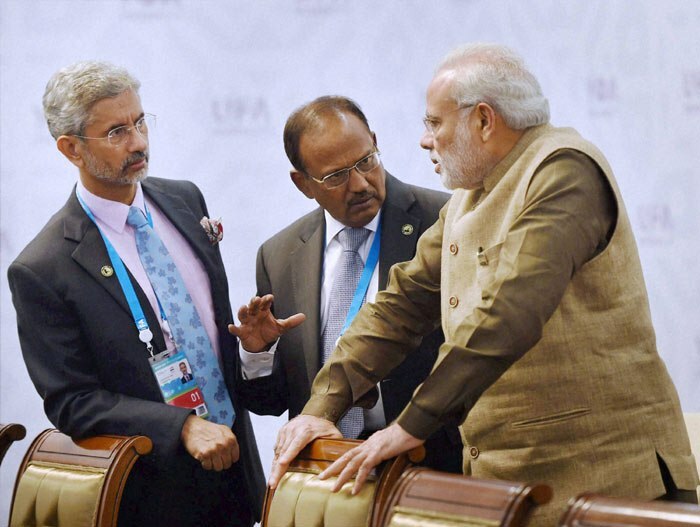 That Modi also believes normal service rules don’t apply to officials who have sworn loyalty to him was most glaring in the casual manner in which former foreign secretary S. Jaishankar, who had been active in organising Modi’s rockstar reception at Madison Square Garden in New York during his ‘triumphant’ trip to the US in 2014, had his mandatory one year cooling off waived recently so that he could join the Tata group as president, global corporate affairs. Jaishankar had already been bestowed a year’s extension as foreign secretary in 2017. He joined the Tatas barely months after completing his extended tenure and is believed to be key to the corporate group’s defence foray. Some officials are upset that the rules were given a go-by for Jaishankar, especially since his extension ensured that his juniors could not become foreign secretary. “Why have these rules and tenures at all? Modi should just declare that his favourites will corner all the plum posts” said a bitter Indian Foreign Service official. 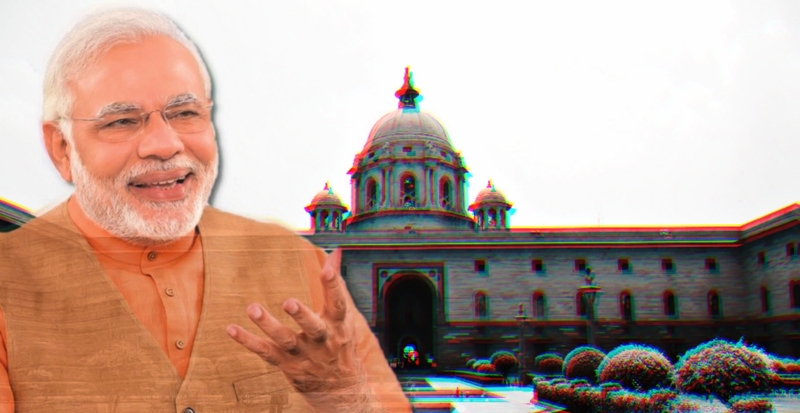 In fact, Modi had made his intentions clear when right after being sworn in as prime minister, he brought in an ordinance to make Nripendra Mishra his principal secretary – clearly no serving official was good enough. This was followed by the appointment of retired IPS official Ajit Doval as National Security Advisor. From the “historic Naga accord” announced by Modi and Doval, to inviting Pakistan’s intelligence agency to Pathankot after a terrorist attack, Doval mishandled things by trying to micro manage. But whether it is ensuring that Nepal turned hostile, to India’s failed bid to join the Nuclear Suppliers Group, the utter mishandling of the security situation in Jammu and Kashmir, and recently the Doklam standoff, Doval comes out as teflon-coated. No failure sticks to him and he has no accountability. Officials say that Doval was largely responsible for the mess in India’s relations with China and Pakistan, but the prime minister seems to have stuck by him because of the loyalty factor. After his retirement, Doval ran the Vivekanand Foundation of the Rashtriya Swayamsevak Sangh (RSS) and is credited with masterminding the Anna Hazare movement that brought the Manmohan Singh government to its knees. Doval is known to have advised Modi on many important matters even when the latter was chief minister of Gujarat. In an informal way, he was by Modi’s side all along even in Gujarat. His son, Shaurya Doval, runs the India Foundation in partnership with BJP national general secretary Ram Madhav which boasts defence minister Nirmala Sitharaman, railway minister Piyush Goyal, ministers Suresh Prabhu, Jayant Sinha, and M.J. Akbar as directors. Modi is known to stand by bureaucrats loyal to him through thick and thin. Sources say that despite Adhia’s sulk at missing the bus for being cabinet secretary after he retires in November, Modi already has a job lined up for him in the PMO, much like Sharad Kumar, who is likely to be made a member of the National Human Right Commission after recently ending his contractual run as director general of the NIA. While senior officials point out that such sensitive jobs should not be given out on a contractual basis, surely such strict rules don’t apply to “Modified” officials holding plum jobs.